OFF THE MARKET! You will love this one level home with 3 bedrooms + den, 3 car garage on large lot. Quality features include quartz kitchen counters, walk-in pantry, DeWils cabinets, Craftsman style painted woodwork, walk-in shower + soaking tub in master bath. Fully landscaped yard with sprinklers, fencing, covered patio. All Glavin Homes in this neighborhood are being built to National Green Building Standards & to be Energy Star Certified. New home is complete and move-in ready! 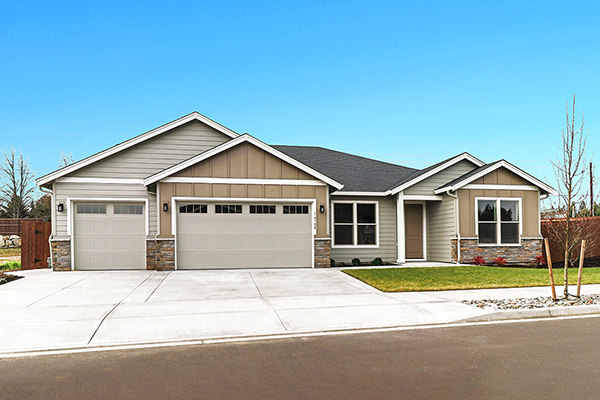 Although this home is not currently available, call Nathan Cano’s team at (360) 823-3333 or contact us today to see other beautiful homes in The Heights at Pleasant Valley by Glavin Homes. We had the pleasure of working with Troy Frei who was prompt, professional, and personable. Troy responded moments after my online inquiry about selling our home. We met the next day. He was accurate in the predicting price and purchase timeline of our sale. Our house sold before it was listed due to Troy’s great coaching! I don’t do online reviews–this on is an exception because of exceptional service. I chose Nathan and Troy to market my 2.4ac lot at 2312 NE 49th St, Vancouver, WA because they know the local market well. They were very accessible during the sale process. They contacted a local engineering company, and did market analysis on my lot, helped me setting up the right price, which led to the sale of my lot. Kelly Winn did an excellent job in getting our home sold. Property was sold in one day. Very professional service. Kelly is very knowledgeable and understanding of the entire process. He helped schedule work to be done as needed. I have always found him to be very helpful. I would recommend Kelly to anyone looking for an honest, reliable realtor.